FAQs about Spinal Injuries and Legal Claims | Jones Wilson, LLP I Had Back Pain Prior To My Personal Injury Accident. Can I Still File A Claim? What problems could I experience if I begin exercising after a spinal cord injury? Your doctor may have encouraged you to begin an exercise program as part of your treatment plan for your spinal cord injury. Like many accident victims suffering with the chronic pain and limitations of movement that go along with these injuries, you may find the thought of exercising daunting. You could even be worried—rightfully so—that exercising could result in you feeling more, not less, pain. However, you can take steps to reduce your risk of further injuries. Skin problems. As you get on and off exercise equipment, watch for any areas that could cause friction or pressure on your skin if you suffer with skin problems. Autonomic dysreflexia (AD). This is a syndrome causing sudden excessive high blood pressure and is a common problem for spinal cord injury victims. When you exercise, be conscious of spikes in your blood pressure so that you do not damage your heart. Overuse injuries. You need to be careful not to perform the same exercises all the time that repetitively work the same muscles and could result in further injuries. Spasticity. Spasticity is a secondary condition you could suffer with that causes your muscles to be constantly contracted. If you have this condition, you need to be careful when using exercise machines and may need someone to watch you while using them to avoid being thrown out of the proper position for the machine. Medication. If you are taking medication that numbs your pain, you need to be extra vigilant to not overdo your exercises and cause further injuries to your spine. Did you or a family member suffer a spinal cord injury caused by a person’s or business’s negligence? Fill out our online form to schedule a free, no-obligation consultation. What complications could I suffer from spinal stenosis surgery? 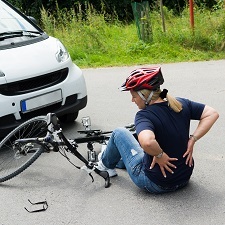 A victim of a serious vehicle or slip and fall accident who suffers from spinal stenosis can experience pain and limitations in his activities long after the accident. He and his family can experience financial hardships due to the expensive and ongoing medical treatments and the loss of income during recovery. Even with surgery, a person suffering from spinal stenosis can experience prolonged complications and a poor prognosis for a full recovery. While spinal stenosis surgery can help some victims of serious accidents, others find the symptoms such as pain and leg numbness continue or return after several years. In addition, the spinal stenosis could develop in another area of the spine, requiring additional surgery. If you suffer from spinal stenosis after a serious accident, you need to act quickly to protect your legal rights and not miss important deadlines to file a lawsuit. Fill out our online form to schedule a free, no-obligation consultation to learn about your legal options. "I am beyond happy." Richard A. ?I Had Back Pain Prior To My Personal Injury Accident. Can I Still File A Claim? ?What problems could I experience if I begin exercising after a spinal cord injury? ?What complications could I suffer from spinal stenosis surgery?